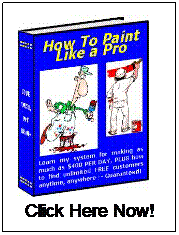 Here is some paint information that will help you to choose which products will look great for your own home or to use in your painting business. These are just paints that I know and recommend. Sherwin Williams: I like to work with this company because they have stores everywhere. In my town alone there are three convenient locations. I don’t have to drive way across town to get more paint when I am on a job. They have a lot of great products like Duration, Cashmere and Super Paint. These are their top sellers. And they have a great product called Pro Classic. It is an enamel paint made for woodwork and trim. It comes in oil or latex. They also have some great primers and exterior paints as well. Benjamin Moore: if you have a local dealer that sells this brand I highly recommend it. For interior work I like the Regal Wall Satin and the new latex version of Satin Impervo for woodwork and trim. They also have great exterior products as well. The Benjamin Moore name is welcome everywhere, especially in finer homes. Pratt and Lambert: this is also a great paint brand to use. I really like their interior paint. I haven’t used their exterior paint so I cannot say much about that but I am sure it is good also. Krylon Fusion – I love this stuff. It is a solvent-based spray paint that dries super-fast within minutes. I use it to clean up beauty rings around ceiling lights that are dingy and yellow from age. Because it is solvent-based this spray is also good for zapping stains before painting walls or ceilings. 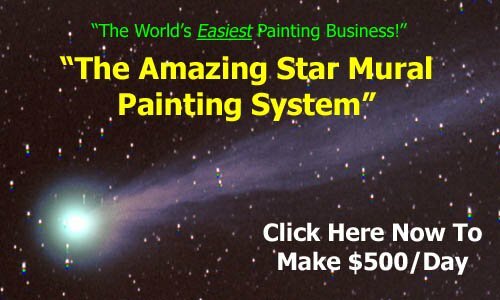 Enjoy this article for paint information? Go here for more handy tips.